This newsletter was originally published on January 26, 2018. Two weeks ago, Michigan EIBC kicked off a series of five stakeholder meetings on electric vehicles. The meeting – attended by utility companies, automakers, advanced energy companies, environmental advocates convene to advance EVs in Michigan –attempted to lay out a strategy to advance electric vehicle charging infrastructure and address other future challenges facing the expansion of electric vehicles in Michigan. Conveners hope to deliver a cohesive strategy to electrify Michigan’s transportation system and make Michigan a leader in advanced transportation. Among those leading the planning effort are utility companies DTE Energy and Consumers Energy, automobile manufacturers, advanced energy companies, environmental advocates and other interested stakeholders. The remaining four meetings will take place over the next five months. Interested participants should contact mieibc@mieibc.org. The Institute for Energy Innovation (IEI) unveiled its report, Powering the Mobility Revolution: The Case for Integrating Vehicle Electrification & Batteries into Strategies to Promote Autonomous Vehicles. “Self-driving vehicles are the next big step for the transportation industry, and the mobility industry is increasingly based on electric vehicle technology,” said IEI president Liesl Eichler Clark. The increasing interconnection between automation and electrification in advanced vehicle development is due to the fact that electric vehicle engines have fewer moving parts than internal combustion engines, and therefore are easier to control from a vehicle computer. The report found that the rapid growth of autonomous and electric vehicles creates new mobility opportunities – for elderly, disabled, and non-driving passengers; for those who cannot afford to purchase or maintain an internal combustion engine vehicle; and for those who would prefer not to spend money on all-day parking when their car could just as easily be transporting others during those time periods. 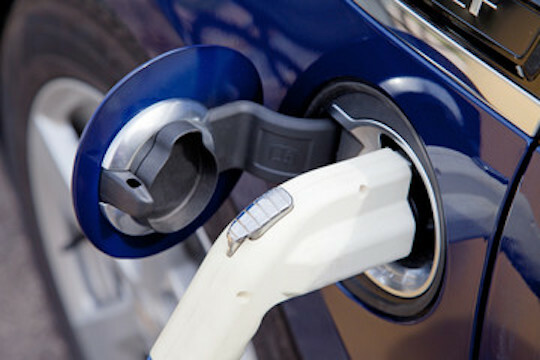 The report also found that to fully take advantage of the growth of autonomous and vehicles, states and communities need to focus on implementing the necessary charging infrastructure, designing proper rates (such as time of use rates) to benefit from excess capacity on the grid, and implement policies that incentivize, rather than discourage, the adoption of autonomous and electric vehicles. This includes offering rebates for vehicle purchases, incentives for expensive direct current fast charge stations, and long-duration purchase agreements for sites hosting charging stations, among others. The North American International Auto Show just concluded in Detroit. At the show, companies debuted a slew of new vehicles and pushed the boundaries on mobility by providing attendees with the opportunity to experience the latest mobility-focused technologies – including electrification and automation – and innovative platforms, start-ups, and suppliers. No other event in North America provides such an international platform for the future of mobility and self-driving cars. At the Auto Show, Governor Rick Snyder asserted that Michigan will continue to be a worldwide leader in the transformation of the auto industry as it moves toward autonomous vehicles. To get there, the governor said the state needs to boost its public-private partnerships for testing facilities and continue to draw talent for industrial automation robotics. The Detroit News predicts that 2018 will be a pivotal year for electric and autonomous vehicles, asserting that the overall market share for electric vehicles will surpass 4% for the first time ever. This projection is based in part on Tesla’s plan to make 5,000 Model 3 sedans per week by March, in part on the popularity of General Motors’ all-electric Chevy Bolt, and in part on Ford for its plans for electrification. University of Michigan researchers found that owners of gasoline cars pay 2.3 times more than electric vehicle drivers on an annual basis. Ann Arbor’s EV charging stations are seeing the highest volume of usage ever. General Motors CEO Mary Barra promised investors that the company would make a profit selling electric vehicles by 2021. She plans to achieve this through developing the company’s proprietary battery technology and cut the cost of battery cells. The Self Drive Act will help ensure that autonomous vehicles are safe. U.S. Representative from Pennsylvania Bill Shuster, the GOP chairman of the House Transportation and Infrastructure Committee, will not run for re-election. After the election, House leadership will appoint a new chairman to the committee. The electric vehicle tax credit survived the tax bill, but a phase-out may still be on the horizon. While the credit has been celebrated by many, it may put Tesla and GM at a competitive disadvantage. Electric and hybrid car sales for 2017 are expected to be up nearly 30%, but still only account for about 1% of U.S. sales. At the same time, almost 80% of Americans lease their EVs instead of buying them – much more than for gas cars. Global automakers have invested $90 billion to date in batteries and electric vehicles, and that number is expected to keep growing. According to the Center for Strategic and International Studies, the transportation sector has become less energy efficient. GM plans to deploy an autonomous vehicle fleet by 2019, and is seeking federal approval to test cars without steering wheels. Visteon, a spinoff of Ford, is beginning to work toward autonomous vehicles. Ford will invest $11 billion on its electric vehicles by 2022 and have 40 hybrid and fully electric vehicles in its model lineup. The automaker also wants to be the autonomous OS for the future of transportation, partnering with Postmates on AV food deliveries. Tesla fell short on its promises for rolling out Model 3 cars in the third quarter of 2017. The company has already made plans for an electric pickup truck after the release of its Model Y SUV. A China-based startup unveiled a “next-generation” electric SUV at the Consumer Electronics Show in Las Vegas. Luxury automobile designer Henrik Fisker unveiled the Fisker EMotion at the Show, positioning the vehicle to compete with Tesla’s Model S.
Toyota is working with Amazon, Uber, and Pizza Hut to develop a self-driving shuttle. Google is still in the race to build self-driving cars. The CEO of Fiat Chrysler Sergio Marchionne says EVs aren’t profitable and do not warrant serious investment. A pilot program launched by Pacific Gas & Electric will introduce 7,500 electric car chargers in California, the largest utility-sponsored EV charging program in the country. North Carolina electric cooperatives are trying to lure EV drivers to rural, scenic areas with new charging stations aimed at tourists. The world’s first fully electric container barges, complete with 20-foot batteries, will begin operating this summer. The Michigan Public Service Commission has announced plans for its second Electric Vehicle Conference in on February 20. Join our newsletter and stay up to date on energy innovation in Michigan! Dr. Laura Sherman is the President of Michigan EIBC and IEI. She most recently served as the organization’s Vice President for Policy Development. In that capacity, she supported Michigan EIBC’s policy platform, including ongoing regulatory engagement at the Michigan Public Service Commission, policy initiatives, and legislative efforts. Laura is also a senior consultant with 5 Lakes Energy where she focuses on renewable energy development and community engagement. Before joining 5 Lakes Energy and Michigan EIBC, Laura served as the policy advisor to Senator Michael Bennet (D-CO) on energy, agriculture, and environment issues. In that capacity, she led a team in Washington, D.C. and Colorado to develop legislation, analyze policy issues, and negotiate bipartisan solutions. Laura was involved in crafting the 2015 extensions of the renewable tax credits, advancing federal initiatives on building energy efficiency, and supporting land conservation efforts. Laura received a B.S. in Geological and Environmental Science from Stanford University and a Ph.D. in Earth and Environmental Sciences from the University of Michigan. Her graduate and postdoctoral research utilized novel techniques to trace mercury pollution from sources like coal-fired power plants into rainfall and aquatic ecosystems across the Great Lakes Region. Nicole Forward serves as Vice President of Membership & Events for Michigan EIBC and the Institute for Energy Innovation. Nicole’s work focuses on growing Michigan EIBC’s business membership and managing events, conferences, and regional networking meetings. Nicole has more than a decade of experience working in non-profit development in both Grand Rapids, Michigan and Los Angeles, California. Nicole’s previous position was Membership & Annual Fund Manager at the Grand Rapids Public Museum, the oldest and second largest museum in the state of Michigan. Before moving back to her home state of Michigan, Nicole served as Director of Development at the California Science Center in downtown Los Angeles, the largest hands-on science center on the west coast. Nicole graduated from Michigan State University with a B.A. in Political Science with an emphasis in Public Administration. Cory serves as the Vice President of Development & Community Projects for the Institute for Energy Innovation and Michigan EIBC. Previously, Cory was Chief Operating Officer at Levin Energy Partners where he helped develop and deploy the company’s Property Assessed Clean Energy (PACE) finance marketplace, called Lean & Green Michigan. He is also the creator and Director of the Michigan Clean Energy Leaders Project and is a 1 Hotels Fellow through Environmental Entrepreneurs and the Natural Resources Defense Council. Before joining Levin Energy Partners, Cory was a Senior Research Associate at the Environmental Law Institute in Washington, DC, working on clean energy policy in the US and abroad. He has also held positions with 5 Lakes Energy, the Green Economy Leadership Training (GELT) program in Detroit, the U.S. Department of State, and Fundacion Biosfera (Argentina). Cory has been a fellow with the Roosevelt Institute, Automation Alley, & New Leaders Council. In 2012, Cory was named one of Forbes 30 Under 30 for Law and Policy and in 2016 he was named a Clean Power Player by Environmental Entrepreneurs. His writing has been featured by the Environmental Law Forum, the Japanese International Cooperation Agency (JICA), and the Roosevelt Institute. He is a graduate of James Madison College at Michigan State University where he majored in International Relations and specialized in Environmental Economics & Policy. Kaitlyn Beyer serves as the Programs Associate for Michigan EIBC and the Institute for Energy Innovation. Kaitlyn’s work focuses on communications, research and writing, and assisting with events. Kaitlyn brings past experience in community organization and communications. In her previous position, Kaitlyn managed a State House campaign in northern Michigan. Kaitlyn graduated from Michigan State University with a B.A. in Social Relations and Policy, a second major in Political Theory and Constitutional Democracy, and a minor in Women’s and Gender Studies. While at MSU, she held internships at a communications firm, a gubernatorial campaign, and a legislative office, as well as working for the university’s Department of Student Life. Liesl Eichler Clark is President of Michigan EIBC and the Institute for Energy Innovation. Under her leadership, Michigan EIBC has become the premier organization dedicated to advanced energy business interests in Michigan. Michigan EIBC serves the objectives of member companies by strengthening the Michigan network of advanced energy businesses, engaging the public and policymakers around policy and regulatory initiatives, creating partnerships to expand business opportunities, and advancing energy innovation. In 2010, Liesl co-founded 5 Lakes Energy, a nationally recognized policy consulting firm offering services to the public and private sectors in clean energy policy development, research and analysis, and sustainability practices. Under Liesl’s leadership, 5 Lakes has provided client services in 16 states. The firm’s capabilities and vision have made it a trusted source for businesses, policymakers, and other stakeholders seeking to advance the transition to a clean energy economy. Throughout her career, Liesl has built a reputation in collaborative policy development. She has been instrumental in building relationships between the clean energy business community and state and federal policymakers, while engaging lawmakers and regulators in the process. Prior to co-founding 5 Lakes Energy, Liesl held several positions in Michigan state government including: Deputy Director for Energy Systems at the Michigan Department of Energy, Labor, & Economic Growth; Policy Adviser to Governor Jennifer M. Granholm on energy, agriculture, environment and natural resources issues including the 2008 Clean, Renewable, and Efficient Energy Act; and Policy Adviser for renewable fuels and legislative liaison in the Michigan Department of Agriculture. She was also a Consultant for Accenture. Liesl earned her a Master’s Degree in Public Administration from Michigan State University (MSU) while working full-time, and holds a Bachelor’s Degree in Political Economy from MSU’s James Madison College. She has also completed the Great Lakes Leadership Academy and serves on local community boards.